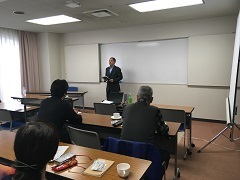 Daiwa Pharmaceutical Co., Ltd. held training sessions for pharmacists and healthcare advisors at Takatsu Garden on November 18, 2018. 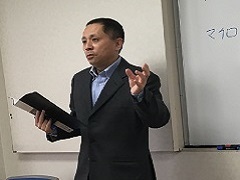 This was a training session to provide the latest, useful information to pharmacists and healthcare advisors in the Osaka area. In the session, Talkao Enju (Enju Traditional Chinese Medicine Pharmacy) gave a presentation about the practical use of BioBran. The latest studies about BioBran and NKCP were also reported. The session attracted many participants and received favorable comments. Daiwa will continue to make efforts to provide the latest information to our partners.